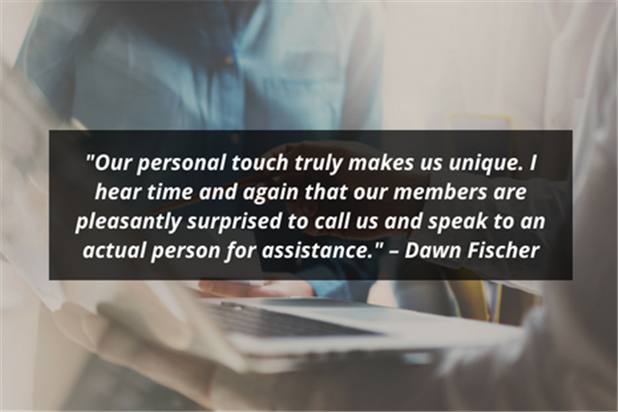 Meet your Customer Success Team Member, Dawn Fischer! 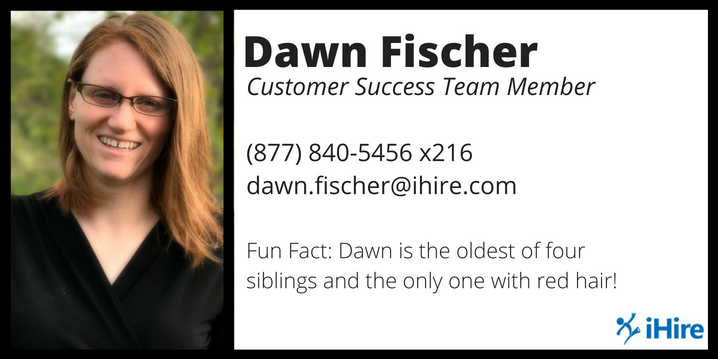 Dawn joined iHire in May 2010 and provides stellar customer service and project support for numerous departments. Learn more about Dawn and what she finds the most exciting and rewarding about her job. DF: My day-to-day duties are diverse. I help job seekers and employers in a wide range of industries with their job search and hiring questions. I've also been cross-trained in many departments, which enables me to take on a wide variety of projects. DF: Our industry focus, personal touch, and innovative tools truly make us unique. For example, our iScore tool helps candidates identify missing keywords in their resumes and increase their chances of getting interviews for specific positions. Additionally, I hear time and again that our members are pleasantly surprised to call us and speak to an actual person for assistance. Tell us about your favorite client success story. DF: One individual that comes to mind is a job seeker I worked with in the culinary industry. I helped her prepare for interviews and she landed a great position! We are still in touch to this day. In fact, the last time we spoke she was up for a promotion and used my previous suggestions as well as the articles in our Career Advice library to prepare for her internal interview. DF: Before coming to iHire, I had a wide variety of roles: preschool lead teacher, wireless sales representative/manager, and automotive F&I manager/sales manager. DF: I find the role social media has come to play in job searching and networking to be very interesting. If you use it right, social media can help your job search! DF: I'm a softball and marching band mom. I also like to cook and go hiking, boating, and swimming. DF: I have too many favorites to list, but I do like a good mystery. What’s the best piece of advice you would give a candidate who is not having any luck finding the right job or an employer who is struggling to find the right talent? DF: Put yourself in the other person's shoes. As a job seeker, is it clear to the hiring manager why they should hire you and why you want to work for their company? As a hiring manger, would you apply to your own job? DF: I am the oldest of four siblings and the only one with red hair! Also, I'm the oldest granddaughter on my mom's side and the youngest granddaughter on my dad's side.